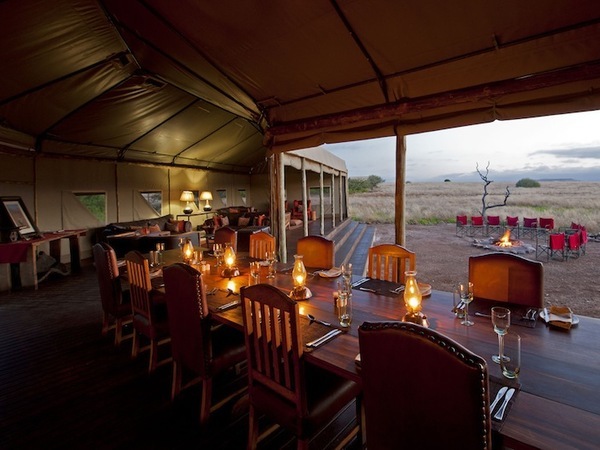 Desert Rhino Camp offers intrepid explorers one of Africa’s most thrilling and unique experiences: the opportunity to come face to face with the remarkable desert-adapted black rhino in its own natural habitat. 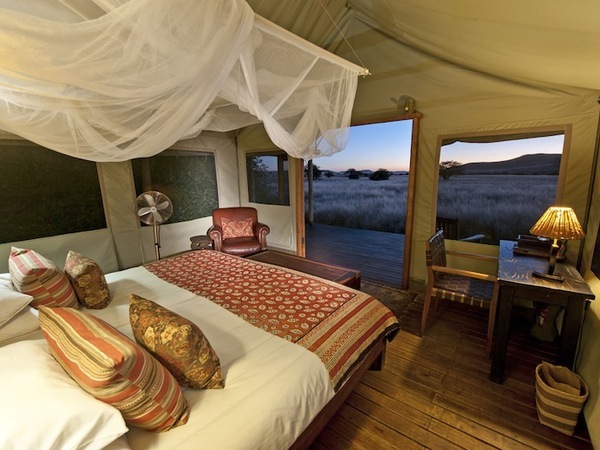 Set in the 1.1 million-acre private Palmwag Concession, Desert Rhino Camp is surrounded by the largest free-ranging population of black rhino in Africa. The camp rests among rolling rocky hills and exudes a tranquil, minimalist beauty. When I found out that we would spend our safari days in search of the desert-adapted black rhino—the largest population of free-ranging black rhinos in Africa—I couldn’t believe it! We encountered a wide variety of wildlife around each bend, and it just got better and better. You simply must have the experience of following rhino tracks on foot or by vehicle in your lifetime! 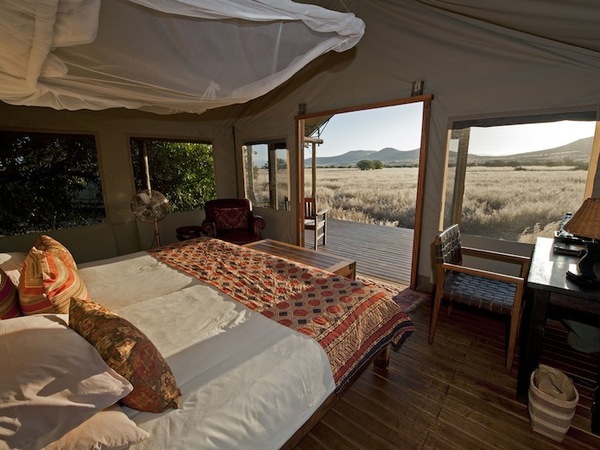 Desert Rhino Camp is set is in a wide valley that is sometimes flush with grass during seasonal rains. 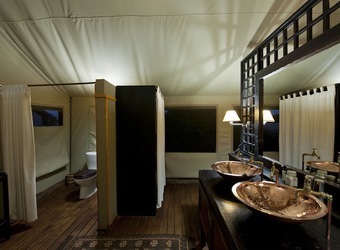 Eight Meru-style canvas tents accommodate a maximum of 16 guests. Raised from the ground on a wooden deck, each tent features an en suite bathroom with double copper hand basins, a flush toilet and a shower. Each bed is dressed with crisp, white linens and features a dark wood partition as the headboard, equipped with reading lamps and separating the bathroom from rest of the tent. An extension of the deck functions as a front veranda where guests can relax in director’s chairs and take in the magnificent vistas of the surrounding desert and Etendeka Mountains. The canvas-sheltered dining and lounge area is on a wooden deck in a single tent with partially open sides, offering panoramic views. Couches invite relaxing on one side, while on the other is other a large, simple dining table. A plunge pool offers respite from the midday heat, and evening meals can be taken by the fire pit, where guests can dine beneath the starry African skies. 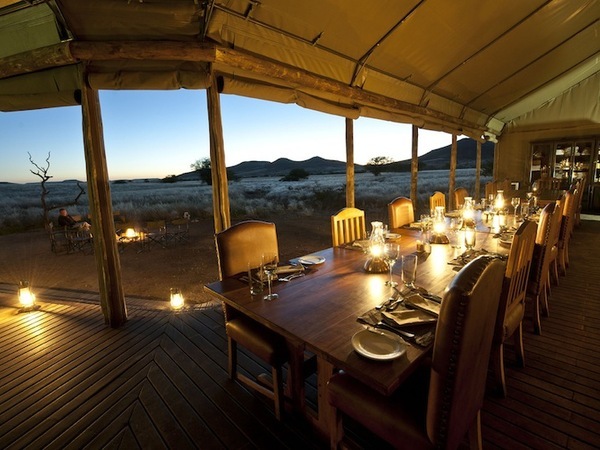 Desert Rhino Camp is set within the 1.1 million-acre Palmwag Concession among rolling, rocky hills with scattered euphorbia, ancient welwitschia plants, scrubby vegetation and isolated clumps of trees. The region harbors a surprising bounty of desert-adapted wildlife including the largest free-roaming black rhino population in Africa. 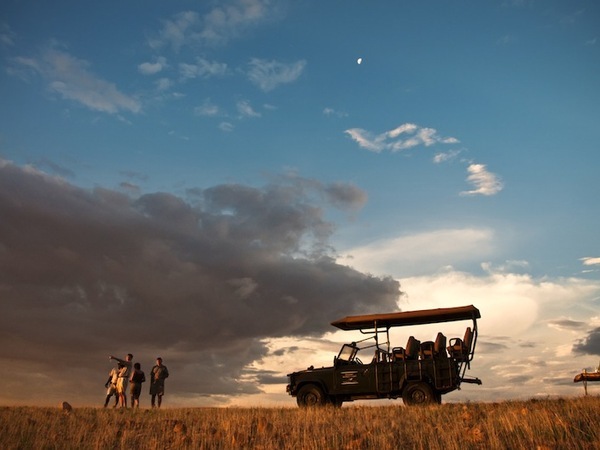 Activities include rhino tracking on foot or by vehicle, full-day outings with a picnic lunch, birding, and day and night nature drives to explore this intricate and otherworldly ecosystem. Community wildlife scouts serve as trackers and guides and provide guests with amazing insight into the ecology and conservation of this area. The concession's freshwater springs also support healthy populations of desert-adapted elephant, Hartmann's mountain zebra, giraffe, gemsbok, springbok, kudu and predators such as lion, cheetah, leopard, and brown and spotted hyena. Bird life is prolific and diverse with most of Namibia's endemic species present. Raptors include greater kestrel, lanner falcon and booted eagles. Damaraland has varying concentrations and species of wildlife, and the below chart helps to illustrate major wildlife sightings often experienced in the area. 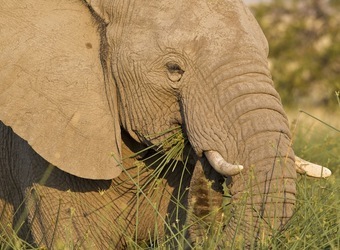 Unique and common sightings in addition to the desert-adapted elephant and rhino may include ostrich, Hartmann’s mountain zebra, springbok, and occasionally predators. Over 240 species of bird thrive here. Exact sightings will depend on water availability and wildlife movements. 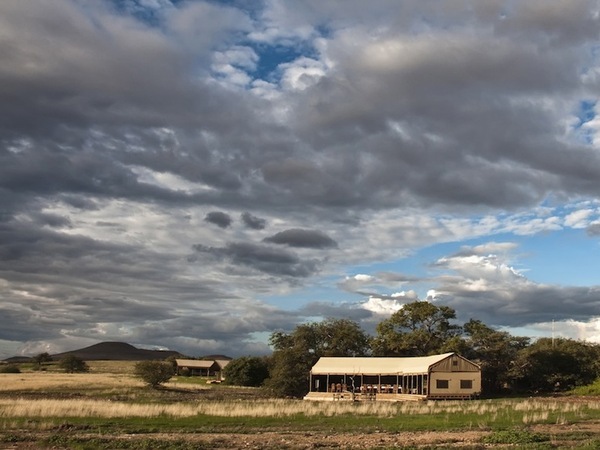 Desert Rhino Camp works closely with the Save the Rhino Trust (SRT), a highly respected NGO that is almost single-handedly responsible for the preservation of desert-adapted black rhino in the area. SRT focuses on the protection, monitoring and understanding of the local black rhino population. As the rhino numbers in the area shrank to near extinction, SRT was formed to stop the indiscriminate hunting taking place within the Palmwag Concession. Community wildlife scouts were employed by SRT to help with patrolling and monitoring the remaining rhino. Ironically many of these new scouts were previously convicted poachers from within the local community, and their extensive knowledge of the habits and movements of rhino in the wild has been invaluable to conservation efforts here. 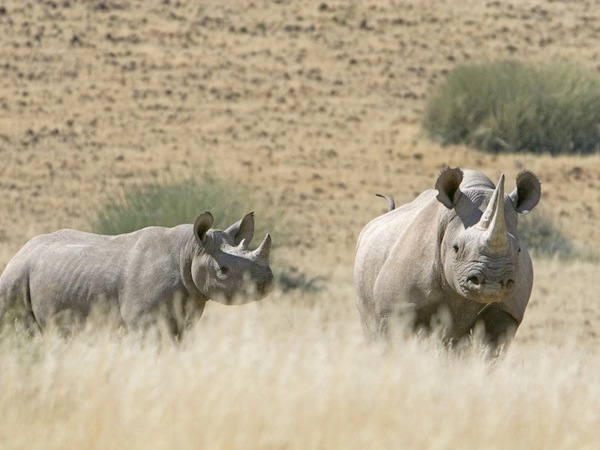 About 30 trackers now monitor over 100 desert-adapted black rhino. Today this program is a major success and is responsible for the well being of a unique sub-species of black rhino. "Very comfortable tents. Very helpful friendly staff. 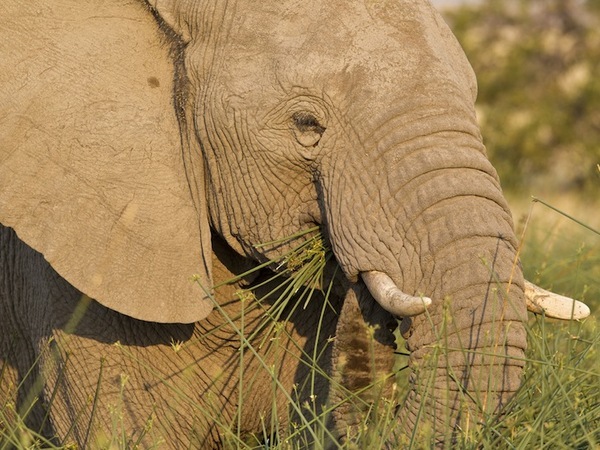 Trackers almost always find the rhinos and provide for safe viewing." 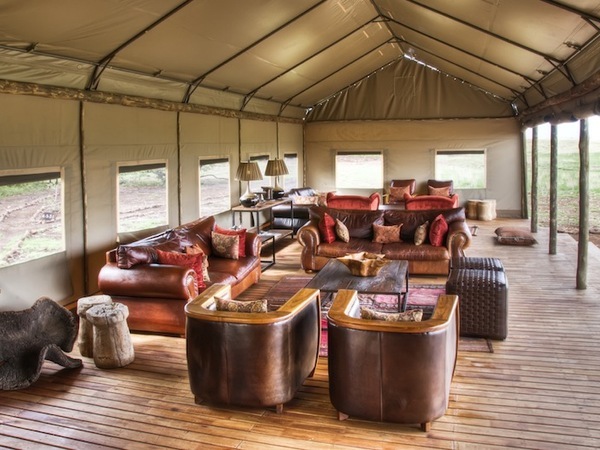 "I visited camp just after it had been newly redone and wow! The tents were extremely comfortable and provided everything I needed. 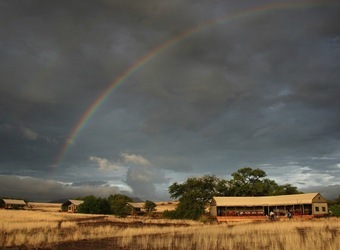 I was awed by the vast and beautiful scenery and seeing black rhino in the wild was the icing on the cake!" "Rhinos!!! I know that's what I came to this camp to see but I left knowing that even if I hadn't seen one, I would have still had the most amazing experience. Out in the vehicle looking for tracks was incredible and then on the horizon, there he was.... Ben. My guide told me all about the conservation efforts in the area and I was so impressed with his enthusiasm, he turned an empty desert landscape into a place filled with life. We couldn't drive more than a few feet without him pointing out a plant that had medicinal uses or a bird of prey soaring in the sky. I slept so well here tucked in my beautiful tent with all the amenities I could hope for. At night we stayed up swapping stories around the fire and gazing at the stars. I had to pinch myself to make sure it was real. I'd go back there in a heartbeat!" 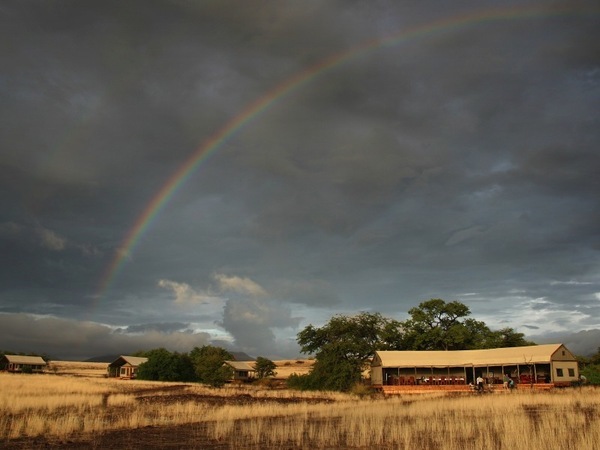 "We stayed here to see rhinos and ended up having a fantastic stay all around. Warning: this place is remote, remote, remote!!! We'd been on safari before and we like to get to the more remote spots...and this was it. The rhino tracking was something that I cannot even really imagine that we actually did, seems like a dream or that it didn't really happen, but I have photos :). We snuck up on a wild rhino!!! The guide was amazing, a big bearded man with the most amazing stories. If you like rhinos and getting way out there, you shgould go here." 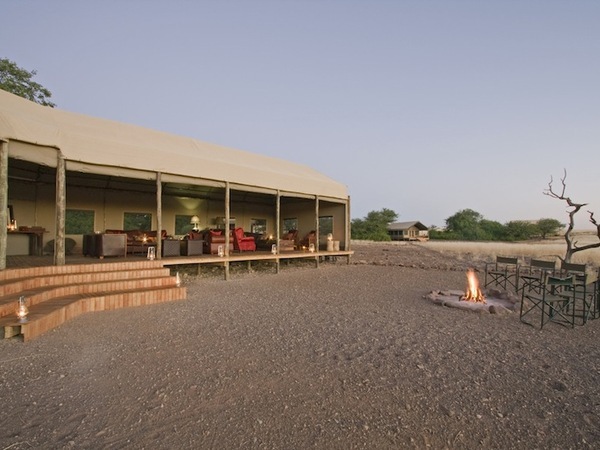 When did you visit Desert Rhino Camp?